Christina was in Colorado this week, spending time with her cousin who lost her father last week. We're very happy to have "mom" back safe and sound again! 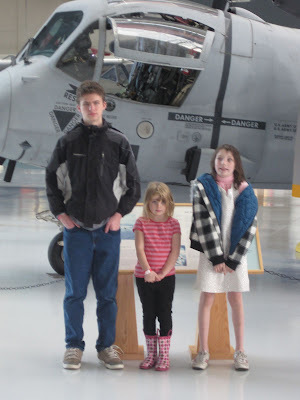 The kids did great with helping out around the house, so as a special adventure on Saturday, after a few hours of picking up and weekend chores, I took them over to the Evergreen Aviation Museum. While there we watched an IMAX film, and the 3D glasses made me laugh - the kids all look like they just emerged from the Godfather film. 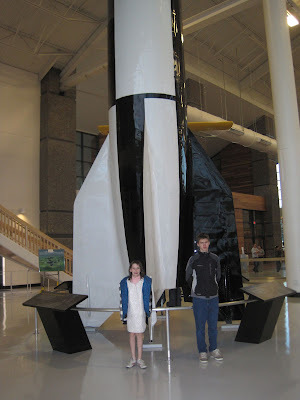 I made the mistake of telling Miriam that this wasn't a rocket, it was a missile used to bomb England. After that she clung to me and wouldn't go anywhere near it - even for this photo op. 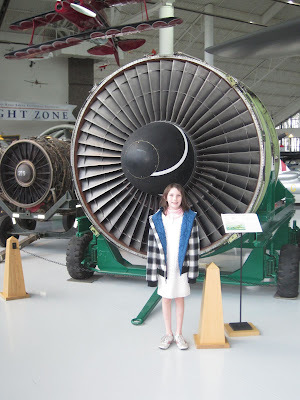 The rest of the visit she kept pointing at rockets in the museum and would ask "is that the enemy's too?"